Just picked up an 02 bmw r1100s boxer cup prep. It only has 6000 miles but it didn’t come with a user manual. I found the repair manual but I am looking for the owners manual. Does anyone have a pdf version of this? Thank you! I ordered one from MAX BMW. If you go to the part fiche, enter the last part of your VIN it will pull up the bike. It's about $25 is actually the riders manual and the rider maintenance manual in the small size that goes in the pouch under the seat in the tire repair compartment. don't really want to buy one for 25 bucks for a 16 year old bike. You can download all the current bikes on their website, not sure why you can't download the old ones. You can get the part number from MAX and watch eBay, I did for a month or so and none popped up. 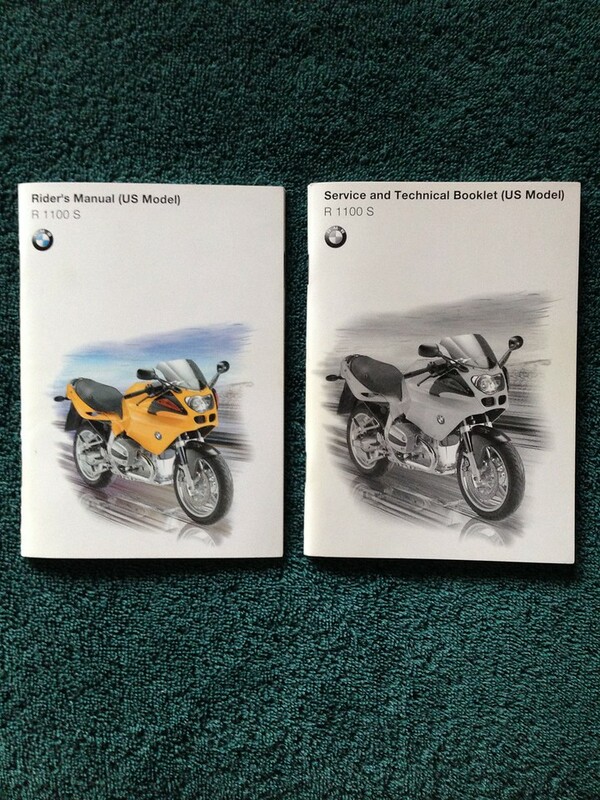 I have a pdf copy (not great quality) of what BMW called the Service and Technical Booklet that is probably what you are after. PM me with an email. These are the covers from year 2000 bikes. Max's site list the service booklet, but not the rider's manual. When I ordered the service booklet, they both came in the same plastic bag, like they were sold as a set. What info do they contain we don't already know here from years of experience or the repair manual or is it an I just want one thing?